Ever since achieving independence in 1991, Estonia has kept a low profile, quietly beavering away at shaking off its despised Soviet past. Looking firmly westwards, Estonia joined the EU and NATO in 2004 and adopted the Euro currency in 2011. Apart from a few reinforced concrete architectural monstrosities I struggled to gauge any soviet-ness about the place or similarities with Russia. Despite having a sizeable ethnic Russian community Estonia feels Scandinavian. Only by force and conniving could the country have been part of a political entity dominated by their large neighbour, which is exactly what happened as a result of the Molotov-Ribbentrop Pact in 1939. Worse was to follow when Stalin deported or killed a large section of the Estonian population post-World War II. 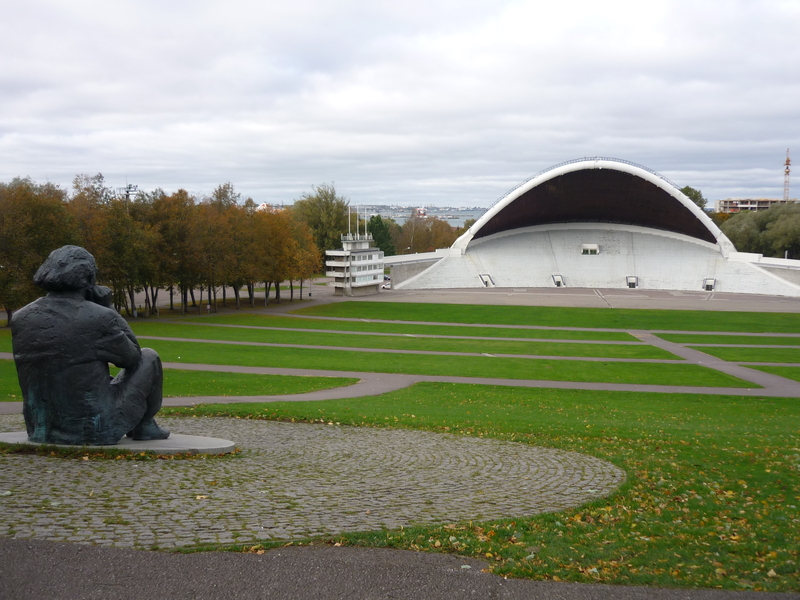 Estonia’s recent road to independence is called the Singing Revolution. Like other eastern bloc countries in the late 1980s anti-communist protests in Estonia took place although the annual Song Contest proved to be the largest protest of all. In August 1989, in solidarity with their Baltic neighbours in an effort to achieve independence, two million people held hands and formed the Baltic Chain, a human chain from Estonian capital Tallinn south through Latvia to Lithuanian capital Vilnius. Given that Estonia’s population is only 1.3 million it is said that 1 in every 3 Estonians took part in the chain. Estonia’s topography didn’t impede the chain as the country is as flat as a board. This, combined with an excellent road infrastructure and low level of traffic, makes Estonia an easy country to drive around. However, public transport between cities is efficient and inexpensive. Other aspects of Estonia which holidaymakers will love are the widespread availability of WIFI and an exceptionally high fluency in English. There is no expectation for tourists to learn Estonian, save the courtesy basics, as the language is apparently one of the most difficult in the world to learn. 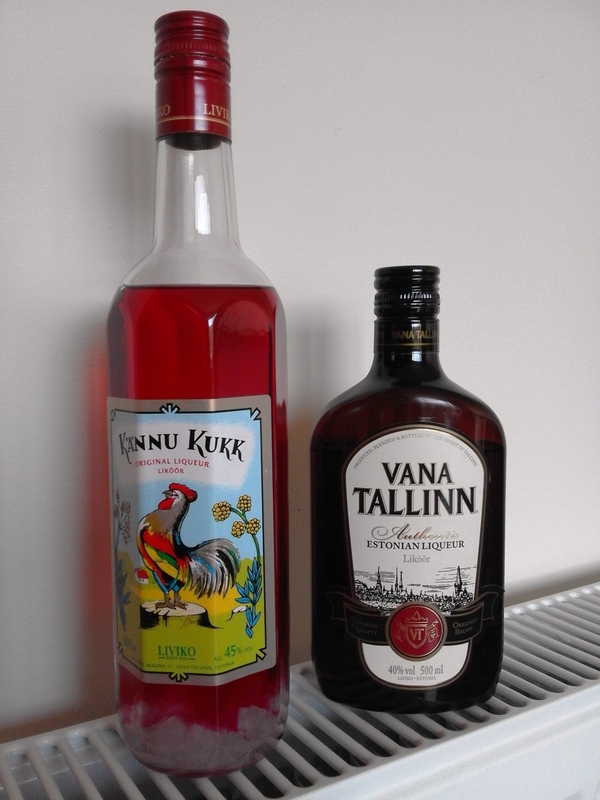 And now for the best bit: Estonia has a rich tradition in liqueur production. Given its inclement weather these liqueurs are excellent warmers and I couldn’t have picked a better country to get a respiratory infection in! Estonian cuisine is a pleasant surprise where local meats are combined with berries harvested from the plentiful woods. Fish is widespread and commonly cured for lasting as Estonia’s coast freezes during winter. Estonian bread, dark in colour, is made from rye. Although rye doesn’t agree with me everyone else agreed that it tasted delicious. A small sample of Estonian liqueurs. Sugar crystals line the bottom of the Kannu Kukk bottle. Between October and April Estonia’s weather is unforgiving. I visited in October where the temperature hovered between +3 and +8 degrees Celsius combined with a bracing Baltic wind. Snow fell soon after I left. A cheap flight has a lot to answer for! These temperatures didn’t seem to hamper travellers’ desire to visit as I counted 15 different nationalities on the walking tour in Tallinn. I guess Estonia’s position as a geographical crossroads lends itself to attract touring folk. North and west lies Scandinavia, Russia is 2.5 hours east and the remaining Baltic countries lie south. Estonia is a thoroughly modern country, a model which we could all draw inspiration from. Even the political process is tech-orientated with election voting taking place online. So if you’re putting off a trip to Estonia because of an expected antiquation just remember the country is the home of Skype and has an IT-inspired nickname: e-Stonia! For further essential travel information on Estonia check out my Visiting Estonia post.